Q: Two Olympic silver medals, the world title in 1987, three Skate Canada titles, eight consecutive Canadian titles, nearly twenty years with Stars On Ice and one of the most impressive professional careers in the business. What do you look back on as the most special or defining moments in your career when you reflect on it all today? A: Moments! There are so many moments to reflect on... when I won my first senior Canadian title in 1981 in Halifax was a turning point and launched me on to the world scene. It was then I realized I had a shot at the World and Olympic podiums. 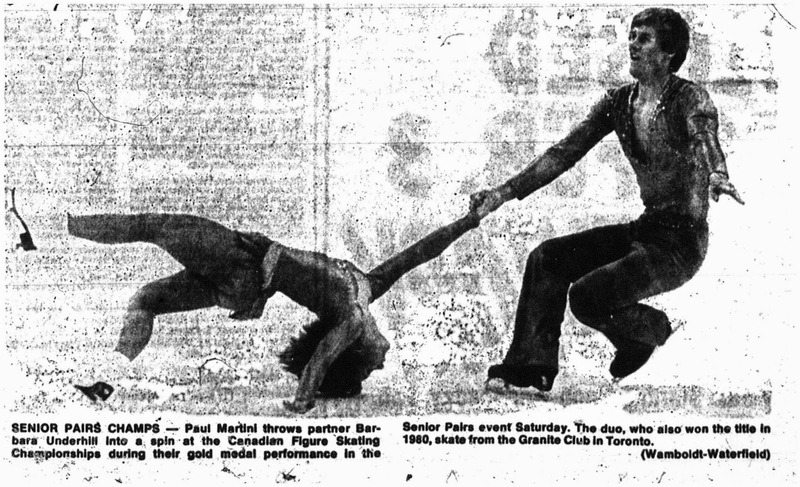 Junior Nationals in 1979 is another big moment, landing my first triple axel. Both Olympic experiences stand out as well. I felt totally in charge and prepared and skating with the Olympic logo on the ice was so empowering. 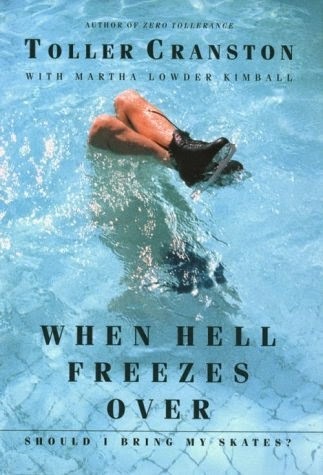 Making the "Carmen On Ice" movie with Katarina Witt was such a great experience. It was my first real chance at acting and movie making. All three CBC variety specials: "Skating Free", "Night Moves" and " Blame it On The Blues". Winning my first ever trophy in Sarnia, Ontario... I believe it was the Men Under 13 category... and winning the World title in 1987 in Cincinnati. Q: You really revolutionized the technical side of skating by being the first skater to perform a triple axel at the Olympics and the first to include two triple axels in a program. Looking at the IJS judging system we have today as opposed to the 6.0 system when you were competing, do you think technical innovation is being rewarded enough and what aspects do you feel need to be improved about the way skating is being judged today? A: We (as coaches) have to embrace the system we have at the moment. My job as a coach is to be sure my athletes have all the tools to tackle any system. I actually like this system as it rewards a "well rounded" skater. I was trained as a well rounded skater and when I competed, it seemed the jumps were "king" of choreography. Spins were secondary along with quality of edges, turns and transitions. The big improvement I feel that is needed is in the transparency in judging. I realize the idea is to "protect" the judges so they can do what they feel without any external pressure, however, I think it has backfired. Q: Brian Boitano, Katarina Witt, Gordeeva and Grinkov and Torvill and Dean (among others) all reinstated in time for the 1994 Winter Olympics in Lillehammer. Was reinstating in 1994 something you considered? A: (laughing) I think I entertained the idea for about thirty seconds! It was very brave for these "greats" to come back, but for me I wanted to continue on the direction and path I was already on. Q: "The Story Of My Life" is stands out as not only one of your signature pieces but one of the most moving skating programs out there period. What did this music and program mean to you and what did you love most about skating to it for so many years? A: "The Story Of My Life" was a piece of music that my mother found and loved. She (like me) was a huge Neil Diamond fan. It seemed fitting to skate to this after the Calgary Games and for the 1988 season, as it was my last amateur run. Following my mother's death in 1996, I brought it back as a tribute to her and also to help me through the pain I was feeling. Skating was my way of feeling and expressing. I had the song, my friends and the audience every night. Q: Would you ever get back into touring or performing regularly again? A: (laughing) No! Been there, done that and got many t-shirts! Q: Maybe I'll just try asking you that again in a bit and see if you change your mind. You've recently launched your own skating app called Peak Performance Skating. How did the idea for an app come together in your mind and what does the app offer that is missing in the training regimes of so many skaters? A: The idea of Peak Performance Skating really came by chance as I met Asad Mecci in my condo building. He is the consulting hypnotist whose voice is on our app. He was discussing the success of the work he had done with tennis players and asked about working on an app for figure skaters. I jumped at the opportunity to develop something for my skaters and eventually have it available for all skaters at all levels. This is the type of training I did as an athlete... not so much with a recorded session but a live exercise we went through at competitions for realization and visualization. Fast forward to today and the tool is now with you when YOU need it at any time or place. You just simply turn on your phone or tablet. It's something that can help any skater, especially before they compete. Q: You've coached or currently coach a who's who of figure skating today - Olympic Gold Medallists Yuzuru Hanyu and Yuna Kim, Olympic Silver Medallist Eric Radford, two time European Champion Javier Fernández, Adam Rippon, Christina Gao and so many others. For you, was the transition to coaching from performing a natural one and what would you say is your 'secret' as a coach? A: I think the transition for me to coaching and teaching was a smooth one, but quite abrupt. The offer for me to direct the skating section at the Cricket Club was sudden and unexpected. I would only tackle the responsibility if Tracy Wilson would do it with me. She said yes and the rest is history. My first student was a fifteen year old junior skater from Korea. Her name was Yuna Kim. Of course she was talented, but unfortunately she lacked passion and joy for skating. I feel my best tools are my experiences from competing at a very high level... my physical readiness and mostly my mental readiness. This is where Peak Performance comes in for my athletes to use as a tool. It allows them to visualize themselves in their own thoughts and pictures for their potential and level of skating. This was an exercise that I did regularly as an athlete. I think my "secret" is a variety of things: mental readiness, preparation, communication, team work, motivation, and most of all, I believe in them. I know they will reach their full potential. A: My favourite skaters of all time are Robin Cousins, Stephane Lambiel, Janet Lynn and Kurt Browning. BUT... today my favourite skaters are Yuzuru Hanyu, Javier Fernandez and Nam Nguyen. A: As someone who has been in the media from a young age, I don't think there is any thing that people don't know. Q: If you could give one piece of advice to every skater in the world, what would it be? A: The only advice is that athletes should feel free to express themselves. Love skating for the beauty it is. Take the time to simplify it. And with that great interview with Brian, Canada Month's a wrap! Between the videos on the blog's Facebook page and Twitter, all of these wonderful interviews I've had the good fortune of doing and all of the great Canadian skating history I've uncovered, I've learned a lot and I hope you have too. Whether you are Canadian yourself or not, you have to appreciate just how much this country has contributed to the sport over the years and I'm proud to have skated and judged in and now have the opportunity to write about skating in this great country! What comes next? MORE interviews, MORE skating history, MORE interesting articles for you to read, that's what? Stay tuned to the blog and thanks as always for your support and most importantly... spreading the word! Q: Before anything, I just want to say that I think you are just fantastic! You've got personality plus on the ice, are fearless and just bring it out there... plus you're originally from right out here on the east coast. I love it! What do you love most about Atlantic Canada? A: The best thing about the Atlantic Canada I find is having the water right there everywhere I go. I absolutely love the water and living out west in Edmonton, I find the appreciation of having the ocean as my backyard whenever I go home to Newfoundland. Also, I love the small town feel of 'everyone knows everyone'. It feels like a giant family that I know always supports me. Q: You're an Olympic silver medallist now, you've represented Canada at the World Championships and Four Continents Championships, won two Canadian titles as well Skate Canada International and Nebelhorn Trophy... looking at all of your amazing accomplishments so far, what are you proudest of or what memories on the ice stand out as the most special to you? A: My proudest moments are obviously each and every accomplishment, especially ending on the podium on the international stages. However, my absolutely favourite memories are the competitions within Canada. Nationals this past year is a memory I will always cherish. It was such a rough year with injuries causing me a lot of frustration. When Nationals rolled around I knew I had the Olympic spot on the line along with regaining my national title. A lot of pressure for one competition! My thought going in wasn't the pressure of winning, it was proving myself in front of an audience and me. I wanted to prove that I could come back from the hardest season and put my heart out on the ice and skate the best I know I can. That is exactly what I did. When my music ended after my long program, I just took the biggest breath and enjoyed my moment out on the ice. I didn't want to ever leave that ice. Q: Last year I interviewed your choreographer Lance Vipond and he talked a lot about how much your basic skating skills have improved in the last year and how its really shown in your programs as well. The programs you skated this past season competitively as well as the programs you did in Stars On Ice I think really showed off your maturity and ability to take on different styles. What do you like most about tackling different styles and pieces of music and what piece of music would you LOVE to skate to someday? A: My favourite thing about tackling many different styles of dance and music is that it continues to challenge me every day. I learn so much more about my body and how to work it the way I want. I love keeping things different. The same repetitiveness of skating can be tiring, so the continuous change in styles keeps things interesting and fresh. I also love that when I go to competitions no one knows what to expect and I come out as a surprise every year. Q: Going back to working with Lance and your coach Ravi Walia, what makes them the perfect team for you? A: I have been working with Ravi and Lance for eight years now. They know what I need to do to accomplish more and more things every year. Ravi knows how to work me on the ice to make myself feel confident and ready every time I step out on the ice for competition. Also, his calm and strict personality is a perfect opposition to my hyper, bubbly self which makes it a perfect combination for training and competition. Lance is very creative and knows what I can do, whether I know I can do it or not. He continues to challenge me every year with my choreography, making me a varied skater and a much stronger skater every year. He lets me input my own ideas which brings out my own heart in my programs. Also, whenever I say something isn't possible and don't understand how he is doing something, he makes me do it anyways and surprises me every time when I figure it out. Q: You've already tackled the triple flip/triple toe, double axel/triple toe and triple toe/triple toe. What's your next technical challenge out there in terms of jumping? A: Well, I have already tackled so many different triple combinations and difficult elements. However, many people don't know that I do actually have a triple loop because I have never competed with it. I do want to add that to my program this year, showing that I can do all my triples. Maybe in the future, I will try triple Axels and maybe even a quad. Q: If you were stuck inside on a rainy day, what would you be spending your day doing? A: If I have no schoolwork to do on my rainy days off, I find myself either glued to Netflix watching some movie or TV show (like Nashville or Heartland) or I find myself stuck in the pages of a book. At the moment I am reading "P.S. I Love You". However, I am not always stuck inside on rainy days. I do love running outside and splashing in the puddles. I have a little kid's attitude sometimes. Q: Looking forward to next season, what are your goals going forward and what can you share about new programs and how your training has been going as of late? A: I have many goals for next year. I proved to myself last season that I can practice and be very consistent in what I am doing though I never got to show that on the international stage last year. That is my biggest goal this year... to redeem myself for the programs that I am not too proud of last year. This year's short, which is the only program I have choreographed as of now, is really going to help me grow as a skater. Lance did an amazing job with showing me off as a newer skater this season. I am very excited to show people. I am leaving the style and music quiet and making it a surprise appearance during the competition season. A: I find that picking three favourite skaters is hard for me because I haven't really watched much skating growing up however Jeffrey Buttle, Kurt Browning and Akiko Suzuki have really stood out to me during their performances. This is because each one of them skates for the love of skating and you can really see their heart and passion in each and every performance. That is what I love seeing in this sport... that when it comes to competitions, you enjoy it knowing the training is there and you can just be free to perform. A: Not many people actually know I am very shy. When I am meeting people for the first few times, I feel very awkward and scared I am going to say too much, not enough or just say the wrong thing. Q: What do you love more than anything about being out on the ice? A: What I love most is that I feel the most comfortable on the ice. All the shyness I dealt with growing up and the shyness I sometimes still feel just completely disappears while I am on the ice. The rink and the ice is what I consider home. It is where I can be free to be me and not worry about what anyone thinks. In the summer of '71 (not quite the Summer of '69 like in the song but pretty damn close), CBS presented an eight episode television variety/skating show on Sunday nights called The Ice Palace. The first effort of its kind, the show contrasted entertainment acts against the background of a mythical ice palace and featured guest hosts like Carol Lawrence, Vikki Carr, Dean Jones, Leslie Uggams, Johnny Mathis and Roger Miller and skating entertainment from skaters Tommy Litz, Tim Wood, Linda Carbonetto (now Linda Villella), Billy Chappell, Donald Knight, Gisela Head, Tim Noyers, Roy Powers, Sandy Parker and The Bob Turk Ice Dancers all skating to music orchestrated by Alan Copeland ranging from Barbra Streisand's "Don't Rain On My Parade" to Janis Joplin's "Me And Bobby McGee". Although short lived, The Ice Palace proved that figure skating sold as a television show. Beginning years before the tour of the same name would become a household name across North America and later worldwide, Stars On Ice was also the name of a weekly television variety/skating show broadcast from 1976 to 1981 on CTV here in Canada that featured some of most iconic names in skating of the era. In fact, it was North America's first national network ice skating series and "one of the most lavish, expensive and successful productions ever done on Canadian television" according to series writer Mary E. McLeod. The show debuted on September 14, 1976. Filmed on a 40 X 60 ice rink set up at Toronto's CFTO-TV studio six (which expanded to a 46 X 68 sized rink by the show's second season), the series was produced and directed by Michael Steele along with executive producers Arthur Weinthal of CTV and Ed Richardson of Glen Warren Productions. It featured a regular cast of fourteen professional skaters, most of whom were based in the Toronto area. The show also regularly featured special guests from the figure skating world as well as guest celebrities and musicians and was hosted by Jeopardy's own Alex Trebek from 1976-1980 and Doug Crosley during the series' final year. 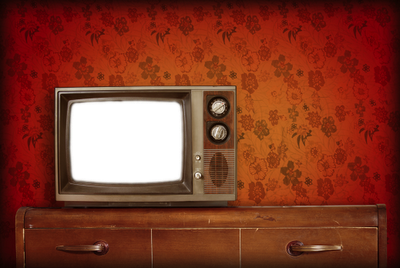 The early evening series reached such popularity and was so easily marketable (as it was physical entertainment not based on language) that it was syndicated in over thirty countries worldwide including Brazil, Hong Kong, Nigeria and Iran. Most thirty minute shows opened with glamorous and elaborate Hollywood style production numbers from the cast of professionals and featured a second big budget production ensemble piece halfway through. Under Steele's direction, choreographers Bill Turner, Ken Atkinson and Kenneth Welsch worked their magic with the assistance of consultants Debbi Wilkes and John S. Rait. The cast and special guests from season to season couldn't have been more consistently stellar. 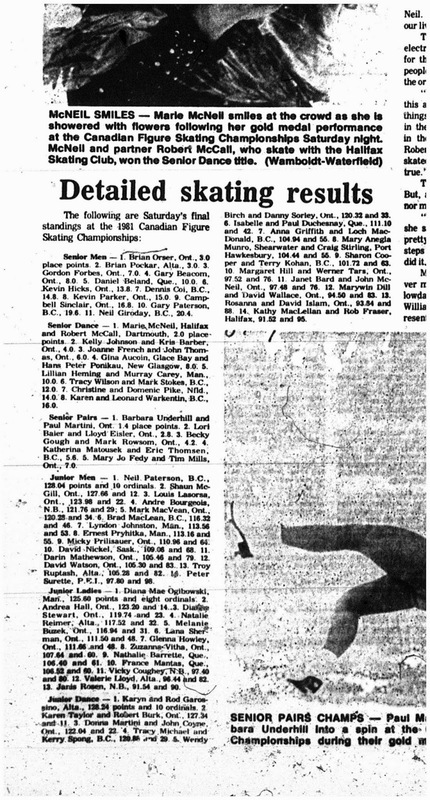 Skating stars over the years included Toller Cranston, Barbara Underhill and Paul Martini, Karen Magnussen, Jojo Starbuck and Ken Shelley, Gary Beacom, Tracey Wainman, Donald Jackson, Tim Wood, Charlie Tickner, Sandra Bezic, Richard Dwyer, Sarah Kawahara, Barbara Berezowski and David Porter, Mr. Frick, Uschi Keszler, Dianne de Leeuw and Lynn Nightingale. Musical guests included Rosemary Clooney, Davy Jones of The Monkees, Donovan, Melba Moore, Mary MacGregor and Freda Payne. The show set a precedent for skating's marketability on television outside of the competition and one time special model and no doubt encouraged others to feature it as well. Donny and Marie Osmond's show featured skating performances and in 1980, a variety production on NBC called The Big Show featured an ice rink and skating performances from the likes of Toller Cranston (a regular on Stars On Ice), John Curry, Peggy Fleming and Dorothy Hamill. Years later, other series based around figure skating's would gain the world's attention and imagination include FOX's short lived Skating With Celebrities, Australia's Skating On Thin Ice and of course the wildly popular Dancing On Ice ITV show based around Torvill and Dean and CBC's Battle Of The Blades. TLC even took a break from hoarders, pre-adolescent pageant queens and people picking a chicken asparagus with two sides out a dumpster to pilot Jersey On Ice, a series based around New Jersey figure skating coaches that never got off the ground but was a time nonetheless. Yeah, I watched. It had skating in it. I think it's compelling that Stars On Ice played for so many years around the world and started here in Canada and many people aren't even aware that it existed as this glamorous forerunner to a show like Battle Of The Blades which is so popular here today. One of my favourite parts of writing this blog is digging and finding these stories from another time that connect to the 'now' of skating. Skating's storied past deserves as much attention as we can give it and I for one would love to see something like this take center stage again in a more modern context. In order for this blog to reach a wider audience, I could sure use a little help. 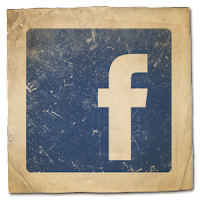 All you have to do is "LIKE" the blog's Facebook page at http://www.facebook.com/SkateGuard for instant access to all of the new blog articles, features and interviews as they are made available. I also share daily updates and headlines from the skating world, videos and much more that's not here on the blog, so if you love figure skating as much I do, it would really be rude not to get on that inside edge! You can also follow all of the fun along on Twitter at http://twitter.com/SkateGuardBlog. If you know someone who loves skating, tell them! It's all about getting a dialogue going on! Fabulous skating is too fabulous to keep secret. Am I right or am I right? Q: Your career has been full of such wonderful successes. You've represented Canada at the Winter Olympics and five consecutive World Championships, won the Four Continents Championships, competed at both junior and senior Grand Prix events around the world and won four medals at the senior level at the Canadian Championships as well. Reflecting on everything so far, what are your proudest moments or most special memories? A: I feel very fortunate to have had these opportunities to represent Canada. First, I would say competing at my first World Championships in 2010, as it was a special feeling to have been competing against all the best skaters in the world together for the first time. Being the first skater complete two quads in a short program was another milestone for me - I will never forget the rush I felt when it happened. Of course, winning the Four Continents Championships has to be one of my best memories. I achieved something that I could have only dreamed about when I was a kid. I will never forget the wave of emotion I felt after the long program, and hearing the national anthem played from the top of the podium. Lastly (despite the turmoil I experienced leading up to them)) the whole experience of the Olympic Games in Sochi was incredible. It was something I had imagined since I started my skating career and the experience certainly did not disappoint! From taking part in the opening ceremonies, to the thrill of winning a medal together with my long-time teammates - and all the lows and highs throughout the month - it made for an absolutely unforgettable experience. Q: This past season you had to deal with losing the momentum you'd gained after a really strong season the year previous that saw you finish fifth at the World Championships because of skate programs that kept you sidelined for much of the pre-season and fall. How stressful was trying to 'cram' to get yourself back in the form you did to make it on that Olympic and World team and how are your skates working out for you now? A: Needless to say, it was a difficult and frustrating year. It wasn't so much about cramming to get things ready - heavy training isn't a problem for me - it was more coming to terms with the fact that things weren't going to get any better (even after desperately trying everything I could) and that I would just have to grit my teeth and fight for the rest of the season. It was especially frustrating considering the success that I had in the previous season, and that these unprecedented problems were occurring during the crucial training period leading up to the Games. I don't want to think about the amount of stress that my team and I endured. It isn't something I want to remember. Now that the season has finished, we have had the time to fit the skates accurately and create a better fitting boot, without the stress and pressure of getting everything done quickly. The result is that I am now feeling good with my new equipment, and that hopefully, these problems will never plague me again in my career. Q: Your arsenal of quads is simply cray. You landed your first one at fifteen and are now attempting (and often landing) more than one per program. How do you make them look so easy and what's your next technical challenge to yourself? A: Our goal as skaters is to make things look easy, but I can tell you that it definitely isn't! The timing has come after years upon years of training, good teaching and a lot of personal motivation. Ever since I started watching skating on TV, I was in awe of quadruple jumps - the height, the speed of rotation, how spectacular they looked as a whole. I didn't know how at that age, but I told myself that one day I would do them as well. It's always been a dream of mine to do something that no other skater has done before. Now, I want to be the first skater to land a quadruple loop in competition. I am aware that there are other skaters who have tried and even landed it in practice, so my motivation in this post-Olympic season is higher than ever to be the first to do it in competition. Q: You are coached by Joanne McLeod, who is regarded by many as one of Canada's top coaches. What makes your relationship with her work so well and what have you learned from choreographers you've worked with like Shae-Lynn Bourne, Lori Nichol and Tatiana Tarasova that has changed or improved your 'day to day skating'? A: I think it is the trust between us. I started working with her when I was nine, so it's been quite the journey we've been on together. We've been there for each other through the best and the worst of times, and this has made our bond even stronger. I think our trust is a large part of what has helped us though the most difficult season in my career. It is thanks in no small part to her that I was able to reach this far in my career. I feel very fortunate to have had the opportunity to work with many of the best choreographers in the world. I think everyone has, in their respective ways, contributed to my development both as a skater and as a performer. It wasn't limited to only these things of course, but to give some examples, I think that Tatiana taught me a lot about program construction, footwork, and performance skills. With Shae-Lynn, I was able to discover my love of performing. With Lori, I was able to learn about the details and nuances in my skating and performance. Everyone who I've worked with has given me valuable knowledge to which I can draw from when practicing at home, and also when competing. Q: Looking forward to another season, what are your goals and what's next for you? What can you share about new programs? A: I want to start the season off strong. There should be little to hold me back now. My goal is to medal at the Grand Prix events this autumn and in doing so, hopefully make the Grand Prix Final. I also want to win the National title this year. I would like to perform my programs this year to the best of my ability, which is something that I wasn't able to do last season. As for the program choices this year, I don't want to say just yet, but I have worked with Kenji Miyamoto recently on a new program, and I will soon be working again with Shae-Lynn Bourne. Q: Everyone knows your hair is kickin'! If you had to offer one piece of 'hair advice' to just about everyone, what would it be? A: (laughing) I can offer advice, but I don't know if many people would take it. I would say be yourself with it. There are so many styles to choose from! Try something that shows a bit of your personality. If we're talking about hair care, the more natural, the better. Stay away from cheap shampoos and conditioners which contain sulfates and other harsh industrial chemicals, and look for something that is certified organic by a third party. Q: What is your favourite book, song and comfort food? A: I don't have a particular book that is a favourite. Same as for songs. I listen to a variety of genres and artists - from classical to electro - but I wouldn't pick one song as a favourite. As for comfort food, my favourite recently has been Doria – a baked rice gratin. If you haven't heard of it, search it up! It's delicious. A: As a kid, I looked up to Evgeni Plushenko for his competitive spirit, jump technique, and desire to push the technical envelope. It was exciting and inspiring to watch the rivalry he had with Alexei Yagudin, and this motivated me even further to reach the top level. I never got to see her skate live, but I was in awe when watching videos of Midori Ito and I still am! She had an incredible amount of power to her skating, and of course, had a fantastic jumping ability. Her desire to succeed in the face of all odds inspired me as well. I also enjoy watching Mao Asada perform. Not only does she push the technical envelope, but she performs beautifully as well. A: I have Scottish and Ukrainian heritage. A: The feeling of freedom. Well, actually, the feeling of spinning. I loved to spin and jump when I was a kid, and it's still my one of my favourite things about being on the ice. I also enjoy the freedom to express myself when I perform. I enjoy being able to take on different styles and characters that are different from the everyday me. Didn't you just LOVE this interview with Kevin? Well, don't just stand there! In order for this blog to reach a wider audience, I could sure use a little help. 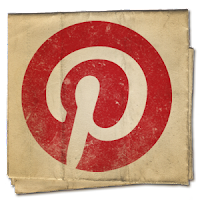 All you have to do is "LIKE" the blog's Facebook page at http://www.facebook.com/SkateGuard for instant access to all of the new blog articles, features and interviews as they are made available. I also share daily updates and headlines from the skating world, videos and much more that's not here on the blog, so if you love figure skating as much I do, it would really be rude not to get on that inside edge! 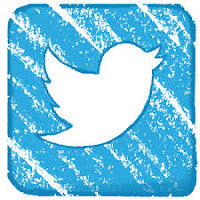 You can also follow all of the fun along on Twitter at http://twitter.com/SkateGuardBlog. If you know someone who loves skating, tell them! It's all about getting a dialogue going on! Fabulous skating is too fabulous to keep secret. Am I right or am I right? Q: You have thirty three years of coaching experience and in that time, you've worked out of the Mariposa School Of Skating and coached at three Olympic Games, fourteen World Championships and thirty Canadian Championships. I'm sorry... but that's incredible! Just saying. The list of students you've coached has been like a who's who of skating - Elvis Stojko, Yuna Kim, Takeshi Honda, Jennifer Robinson, Steven Cousins and even so many other great skaters who have gone to successful coaching careers of their own like Jeff Langdon, Ben Ferreira and Peter Johansson. I know this isn't an easy question, but if you look at of thirty years of coaching, what moments have stood out as just being the most magical - the moments you look back at and go "wow"? A: Well, I think as a coach the most memorable moments are the tough times or when you see someone who hasn't had an easy go of things that finds a way to become successful achieve their goals because you know what has gone into all of it. I have a lot of admiration for a skater like Elvis Stojko who won two Olympic medals, three World titles and seven Canadian titles and did it against odds when there were so many people who said it couldn't be done. That impressed me a lot. Then I look at someone like Jennifer Robinson, who moved away from home and had such a hard time with being homesick. It was really difficult for her. She was crying every day but saying "I want to stay". It was so hard for her but she achieved her goals. When she finished seventh at the Olympics... wow! To me that was SO impressive. Then there's someone like Takeshi Honda. He was SO young when he came to North America and didn't speak any English. People really do this for their dreams. I have a lot of admiration for that. Q: As a skater yourself, you won the bronze medal at the novice level at the 1977 Canadian Figure Skating Championships in Calgary. What are your memories of this competition and what can you share with us about your own skating career? A: I would say that I loved to train, jump and show off but I had very little in the way of mental skills to compete. I think that's what I took from my own experience of not being able to put out what I could do practice. I had no mental strategy, no training, no help in that sense. I think because I was so lacking in that area, I was always very conscious of helping people in that sense so that they could really compete. My own competitive experience was just so helpful in that way. I ruptured my Achilles at sixteen and all of those Olympic dreams that I had in my head were devastated but it was a blessing in disguise that I injured myself. I feel I'm a better coach than competitor. Q: Doug Leigh (who coached Brian Orser as well) has also really been your partner in coaching as in life over the years. How did you keep your home life and work life separate and not 'bring skating home with you'? Is that even possible for a coach? A: Doug and I haven't been married for six years. We're great friends. Our son is twenty three; he was eighteen when we separated then divorced. There was never any issue at work, if anything things got better with the two of just having a working relationship. When we were married, I can't say skating didn't come home with us. I don't think you can't have it come home with you when you are coaching on an elite level. You kind of live it 24/7. We were lucky our son was involved in hockey and lacrosse and through road trips for sports, our son was really our social life. I still coach in Barrie but I'm actually the Director Of Competitive Skating in Oakville now. It's a really progressive club and it's a wonderful environment. It was a great opportunity to try something on my own. It's been awesome. I'm working seven days a week right now but that's by choice. Q: How difficult was transitioning from coaching under the '6.0 system' to under the current IJS system - particularly in working with so many skaters that really learned to skate one under one system and had to reinvent themselves under another? A: I think it's a lot better to coach under this system. It was really tough when we were coaching Elvis for example and he doesn't medal and you don't know... how do you help? How do you explain it to a skater? Now, you kind of know how to explain the results to the athletes and to families more easily with things on paper. You take the hints from the feedback from the judging system. I like it in a way, however I'm worried they're getting carried away with making spins harder and harder for example. It feels like you're always trying to figure out the system and you lose time and money instead of working on important things like quality and speed. You'll never get the quality of skating people want to watch under this system because it focuses on manipulating instead of developing. I'm a little afraid that they keep making it more complex. It's scary for the future. How much money and time is being spent on insignificant developments? Q: Adelina Sotnikova, Yuna Kim, Carolina Kostner in Sochi... what do you think about all that jazz? A: I don't know I have a good answer for that. I don't watch a lot of skating on TV and I already knew the results before I watched all three of them skate. I know most people were really upset about the results so I was actually I guess impressed that Adelina Sotnikova's skate wasn't as bad as people were saying. I think they're all fabulous and have different strengths. I'd really like for the athleticism to stay in the sport. The jumps should always be worth the most. If they are just spinning or skating an edge, how exciting is that going to be for people to watch? I sure have a lot of admiration for Yuna Kim though. She makes everything look SO easy. Q: One of the perks of coaching so many international skaters is the travel! Of all of the places you've visited over the years, what was your favourite? What's one place you've never visited that you've love to? A: I have been so lucky when it comes to travelling. I went to my first international competition in Sapporo when I was nineteen. My bucket list is probably just to stay home and spend some time because I've been so busy with work. I don't travel as much anymore, but I still do. I really enjoy capital cities - Ottawa, Paris, London, Washington, Prague - it's just beautiful! I think capital cities tend to have a focus on history which I really enjoy. There's no real place I'm really wanting to go aside from spending some time at home. A: I think I'm going to have to go back to my first answer. The skaters who came to the rink side on crutches and came to rehabilitate themselves... You know, I'm more attached to the whole journey than the finished product because of living it with so many people. Skaters who come to a lesson everyday and can't wait for that lesson and give 100% every time... they're wonderful! It really is a gift to be a coach. I treasure those relationships, when they have respect for the relationship and skating. A: Most people probably don't know I qualified for and ran the Boston Marathon five times. I also got academic scholarships from U Of T, Western University and Queens. I was a real brain in high school! Q: What's the biggest lesson that your students have taught you? A: I think I would have to say that everyone is different. There's no one way to teach everyone. You have to treat them the way they want to be treated - it's kind of the opposite of the Golden Rule in a way I guess. I think that's the main thing. You have to get to know a person to get the most out of them and how to push their buttons a little I guess. If you enjoyed the interview with Michelle, stay tuned to http://www.facebook.com/SkateGuard and http://skateguard1.blogspot.ca for more skater interviews as well as articles, skating history, commentary and special features! You can also follow me on the Twitter at http://twitter.com/SkateGuardBlog for skating tweets and whatever else I've got on the go. It would be rude not to, now wouldn't it? As Bezic muses in the book "the dream begins the first time you feel your blades cutting across the hard, cold surface and discover the effortless motion of gliding. The first time you find yourself believing, if only for a few moments, that you are the most graceful or the most powerful person in the world." This wonderful coffee table style book written by Sandra Bezic reflects on her decades of work as both a skater herself and much respected choreographer and includes beautiful photographs of many skaters she has worked with over the years, including Katarina Witt, Kristi Yamaguchi, Lu Chen, Brian Orser, Barbara Underhill and Paul Martini and Kurt Browning. There's also a wonderful feature on Ekaterina Gordeeva and Sergei Grinkov as well. Please just don't get your hands on one. You'll be doing yourself a great disservice. Toller Cranston's THREE wonderful books, published in 1997, 2000 and 2002 respectively, all provide an absolutely hilarious, candid and refreshing view of the sport as only Toller can provide. Lorrie Kim offers a wonderful review of Toller's first book "Zero Tollerance" at http://www.plover.com/rainbowice/ztri.html. Lorrie offered the most eloquent and perfectly fitting interpretation: "As I read, I formed the image of Cranston as the most brilliant, the most breathtaking bird -- which, I realized as I approached it, was trembling under its plumage, its warm breast pounding with a panicky beat. He is different from the rest of us, yes. And it is glorious, yes, and worthwhile. But a person cannot love the difference, only admire it. Love is for the warmth, for the trembling, for the heart beneath the feathers which is the same as the rest of us, and glorious, and worthwhile." Lorrie said it beautifully and I cannot concur more or recommend these books enough. This one is an absolute gem. Published by David Young in 1984, this book is impeccably researched with assistance from judges like Jane Garden and coaches like Wally Distelmeyer, Ellen Burka, Osborne Colson and Ray Lockwood and follows Canadian figure skating history from the early days of Norval Batie and Louis Rubenstein through both World Wars and well beyond. 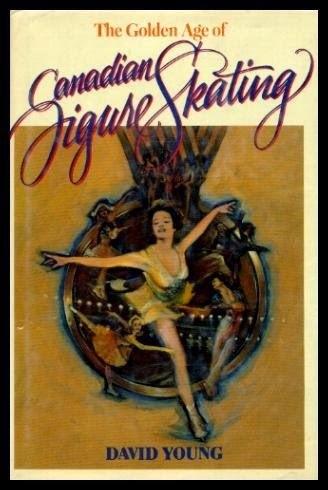 It offers great insight into the careers of skaters like Cecil Smith, Barbara Ann Scott, Frances Dafoe and Norris Bowden, Barbara Wagner and Bob Paul, Maria and Otto Jelinek, Donald Jackson, Petra Burka, Karen Magnussen, Toller Cranston and Barbara Underhill and Paul Martini. It has proved a wonderful resource in my own writing and if you can get your hands on a used copy of this one, you're going to want to. Elizabeth Manley's 1999 book (her second - the first being entitled "Thumbs Up: The Elizabeth Manley Story" and published shortly after her amateur career ended - is a great read. Honest, refreshing and soul bearing, Liz talks no holds barred about the good, bad and ugly of her skating career, including her battles with depression and weight, her years with the Ice Capades, allegations of substance abuse, relationships, coaching and much more. Setting aside the fact that I'm such an admirer of Liz and her story, I really have to tell you this is worth taking the time to track down and read. You're getting the real deal here. As much as I thoroughly enjoyed Brian Orser and Kurt Browning's books for instance, I really thought it would simply be rude not to include Tessa Virtue and Scott Moir's book in this 6.0 list. In collaboration with Steve Milton (who I actually can't say enough good about), Tessa and Scott share the story of their lengthy partnership from humble beginnings to Olympic gold in this 2011 book that's just too gorgeously illustrated not to earn a spot on your bookshelf or a spot of honor on your coffee table when you have company coming to watch skating. To roughly quote the Sister Mary Clarence and her swinging sister friends from the film Sister Act, "In my opinionation I think it's tops; my opinion is it's the cream of the crop. As a matter of taste - to be exact - it's my ideal as a matter of fact". This book really IS that good. 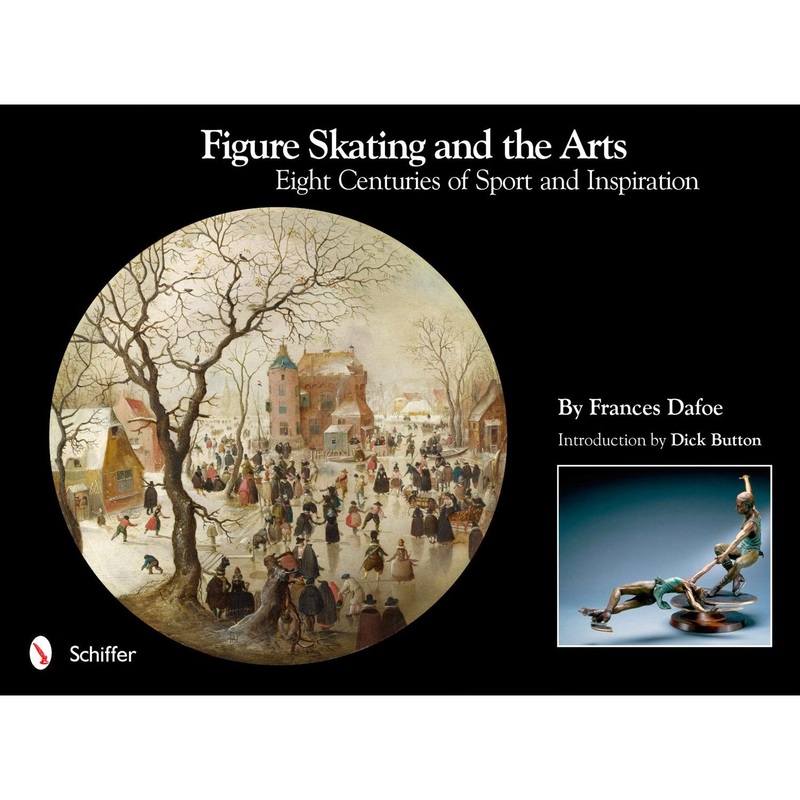 Olympic Silver Medallist and two time World Champion Frances Dafoe has simply outdone herself in presenting one of the most comprehensive books on figure skating history - and its relation to art - ever compiled and written. While the book isn't completely centered on Canadian figure skating history, it is full of treasures from figure skating's origins on frozen lakes, rivers and ponds to today. I think you'll adore this one. Q: You've won the Canadian junior title and two senior medals at the Canadian Figure Skating Championships, medals internationally at the World Junior Championships and Nebelhorn Trophy and have represented Canada at both junior and senior Grand Prix events and at the Four Continents Championships, World Championships and the Winter Olympic Games. Looking back at your skating career so far, what are your proudest memories or most special moments so far? A: Our World Junior silver medal will always be near the top of our list. We had barely been together a year and the work we put in in such a short time to get to that level is something we're both very proud of. This season, qualifying for the Olympics is something we'll never forget. It was like a weight had been lifted off of our shoulders. The sacrifices we've both made over our careers were all worth it; it was a dream come true. Finally, earning a top ten finish at our first World Championships last month in Japan has certainly become a highlight. Q: You train with two of the best ice dance coaches and choreographers in the business, Pasquale Camerlengo and World Champion Angelika Krylova. What makes them great coaches, choreographers and people? A from Mitch: Pasquale and Angelika are a perfect team. As people and as coaches they complement one another so well. Pasquale is a creator and Angelika a trainer. What makes things work at Detroit Skating Club is that we're all a big family; we all care about one another and that starts from the top. A from Alex: Our coaches complement each other so well. Pasquale is the one who imagines the programs and sees a vision in his head, Angelika pushes us to our limits each and every day. We also have an amazing technical coach Natalia (Annenko) Deller. She teaches some of the best basics in the world. Q: You both balanced elite skating careers with post-secondary educations at Laurentian University. How do you find the time and what do you take from skating that makes you better students and vice versa? A from Mitch: We're actually now taking classes at Oakland University in Rochester Hills, Michigan. I'm majoring in Political Science and minoring in Journalism. For me, balancing school and skating is something I've done for so long that I've gotten pretty good at it. Pursuing both sport and academics has taught me how to time manage effectively and shown me the benefits of being proactive and well prepared. A from Alex: Being able to attend classes has been so beneficial for me. It has been such a great balance between the athlete life and a 'normal' life. I'm currently majoring in Political Science and minoring in Philosophy. Going to school while I'm still skating has really taught me how to balance my time and make sure I stay on top of all the things in need to get done. Q: What have you learned most from competing internationally and what has been the strangest or most interesting thing you've seen in your travels worldwide? A from Alex: It is so amazing being able to travel around the world, seeing new places and meeting new people all while competing for Canada. The most interesting things I've seen in my travels are the streets of Tokyo. The signs and pictures all over the buildings with all the lights and the huge crowds of people walking through the streets everyday was so amazing to see. A from Mitch: I feel very fortunate to continue to have the opportunity to travel around the world to compete. Being able to briefly experience various cultures through my travels has been incredible. The strangest thing would have to be being taken from the arena to the hotel in Istanbul in a taxi whose driver thought it would be fun to race the driver of another taxi which had Alex and her family aboard. We were racing down Turkish side streets doing well over 100 km per hour! Q: If you could only eat one food for the rest of your lives, what would you eat? Q: Mmm... Now I want sushi! What's one thing most people don't know about you? A from Mitch: I like to play video games. A from Alex: I love to cook but I hate baking. A: The two of us share the same 3 favourite skaters. Marie-France and Patrice: We loved their skating. They were smooth and powerful and he was the perfect frame for her. A couple of their free dance performances at Nationals stand out as the most amazing performances either of us have seen live. Jeff Buttle: Jeff has always been an idol because he was the first elite skater we got to see on a daily basis, training in Barrie at Mariposa. Jeff helped both of us realize the work and sacrifice that goes into making it to the top. His artistry is without compare. Tessa and Scott: We feel fortunate to have had the chance to compete with these two. They are one of the greatest ice dance teams of all time and what we've learned just from watching them skate is invaluable. They have certainly become mentors and friends. Q: You made a big jump from Olympics to Worlds in placing in the top ten, which was SO deserved by the way! What were your main focuses in training between Olympics and Worlds and what areas will be your main focus going forward? A from Mitch: I think we were overwhelmed in Sochi. With all the distraction that comes with the Olympics, I think we lost focus a bit. We lost sight of what we were there to do, which was just to do our jobs. We were too cautious in Sochi and it cost us. The few weeks between the Games and Worlds, we definitely had a bit of a chip on our shoulder. We knew we'd underachieved in Russia and we were eager to show the world what we could really do in Japan. A from Alex: Going forward, our main focus will be continuing to progress in the way we train. We have to learn to attack our elements more and look fearless when we compete. We want to make ourselves look more mature and more like we belong in that 'last warm up group'. In order for this blog to reach a wider audience, I could really use a little help. "LIKE" the blog's Facebook page at http://www.facebook.com/SkateGuard for instant access to all of the new blog articles, features and interviews as they are made available and tell your friends about it too! I also share daily updates and headlines from the skating world, videos and much more that's not here on the blog, so if you love figure skating as much I do, it would really be rude not to get on that inside edge! You can also follow all of the fun along on Twitter at http://twitter.com/SkateGuardBlog. It's all about getting a dialogue going on! Fabulous skating is too fabulous to keep secret. Although the Canadian Figure Skating Championships have been held since 1905, sadly in that time Nova Scotia has only played host to the Nationals a total of three times: in 1981, 1995 and 2007. Although Halifax was shortlisted as a possible location for the 2015 Nationals, it unfortunately didn't happen. I was all jazzed! At any rate, I'll more than likely be making the trek to Kingston, Ontario in January regardless this year. I was fortunate enough to attend the 2007 Nationals, where I got to meet Brian Orser (which was very cool!) and although I didn't make it to the 1995 Nationals, I remember watching them on television well as that was not long after I became incredibly interested in figure skating and started skating myself. 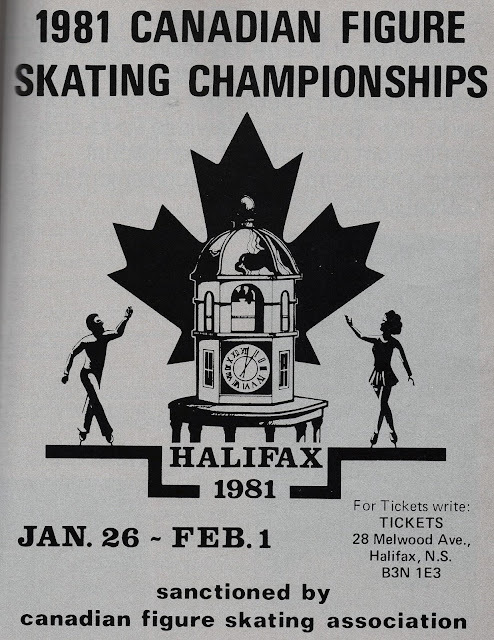 The 1981 Canadian Figure Skating Championships were unfortunately held at the Halifax Metro Centre the year before I was born, so I simply couldn't swing making those ones. You know how it is! At any rate, I got to thinking... you know what would be really cool? To take a closer look at those Nationals which would have happened just down the street from me before I was born. After reaching a complete dead end online, I headed to the Halifax Regional Library where the wonderful reference librarian there hooked me up with a February 9, 1981 MacLean's Magazine, a couple newspaper articles and two rolls of microfilm. 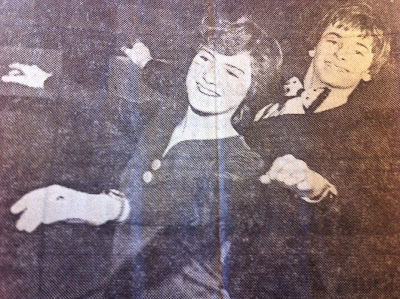 For starters, I learned that the chairperson of the competition was the late Helen Pate of Truro, who was a skating judge and president of the Nova Scotia division of the Canadian Figure Skating Association. Sadly, she passed away in 2012. I also quickly learned of the depth of that particular year's competition. It really was a spectacular one with so many significant skaters in Canadian skating history participating. The 1981 Canadian World team: Brian Orser, Brian Pockar, Kelly Johnson, Kris Barber, Tracey Wainman, Rob McCall, Marie McNeil, Barbara Underhill and Paul Martini. 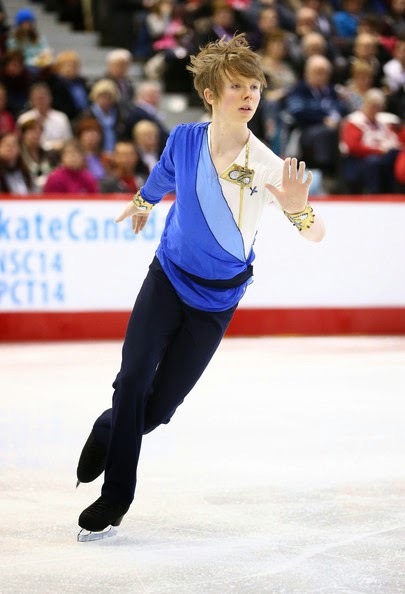 Photo courtesy "Canadian Skater" magazine. The novice and junior ranks both featured skaters whose names would be remembered for years to come. Sixteen year old Neil Paterson of North Vancouver, who won the junior title that year in Halifax would go on to win three medals on the senior level in the years to come and represent Canada at the Calgary Olympics in 1988. The runner up in the junior men's event Shaun McGill of Missisauga would go on to perform with the Next Ice Age and sadly lose his life to AIDS in his early thirties. 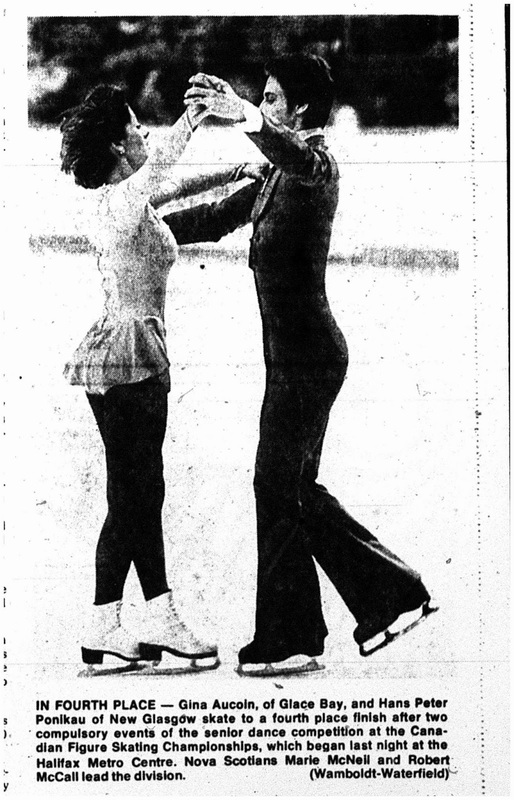 Junior pairs champions Melinda Kunhegyi and Lyndon Johnston would go on to win the silver medals at the 1985 and 1986 Nationals on the senior level before Johnston teamed up with Denise Benning-Reid and later, Cindy Landry. Impressively, Johnston would medal on the senior level in pairs at seven consecutive Nationals with three different partners. The junior ice dance champions that year were 1989 Canadian Champions Karyn and Rod Garossino of the Calalta Figure Skating Club. Michael Farrington won the bronze in novice dance that year... and I got to spend summers training at Melinda Kunhegyi and Lyndon Johnston's APIDA Summer Skating School here in Halifax when I was a teenager, sharing the ice with my sister, a very young Joey Russell, Australia's Cameron Medhurst and a ton of other really talented skaters. The biggest story from my own perspective really pertained to the senior ice dance competition at those Nationals. It couldn't have been more fitting that the first and only Nova Scotians to win National titles to this day did it right in front of a hometown crowd. 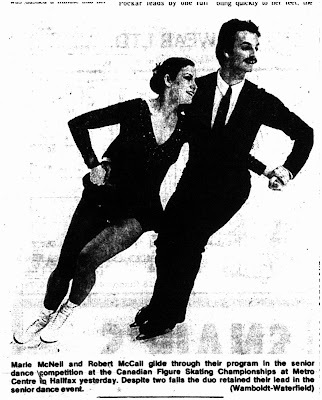 The late eight time Canadian Champion Rob McCall (then twenty two) and his then nineteen year old partner Marie McNeil, representing the Halifax Skating Club improved on two bronze medals and a silver in the years preceeding the event to take top honors in the ice dance competition ahead of Kelly Johnson and Kris Barber and Joanne French and John Thomas. 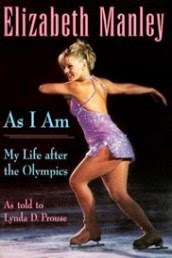 McCall would of course go on to achieve such success with Tracy Wilson in winning the 1988 Olympic bronze medal and medals at both the "amateur" and professional World Championships and starring in Boitano and Witt's Skating tour and Stars On Ice before his death in November 1991. Even more incredibly, not only did Marie and Rob win, the team who would finish fourth - Gina Aucoin (now Gina Doleman) and Hans Peter Ponikau - were Nova Scotians as well. Two senior ice dance teams from Nova Scotia in the top four let alone ten? That's really quite incredible. What's even more incredible is that both were on the podium the year before. That just doesn't happen now. On their way to the title, Marie and Rob won all four (yes, four) of the compulsory dances (which were the Paso Doble, Rhumba, Cha Cha and Westminster Waltz). Rob commented: "We are really pleased. We have a lead from every judge, so we'll take it. We've never been in a first place position before, so we really didn't know how the judges would score. When you have Canadian champions skating, they tend to mark them higher. But none of us are champions, so I think they were a little more cautious with the marks". Despite two falls in the original set pattern dance, Marie and Rob maintained their lead through to the free dance, where they "established an unofficial event record for flowers received," according to the Mail-Star's Steve MacLeod. "Following their senior dance win, bouquets streamed to the ice as the city couple received the first of two standing ovations that night. 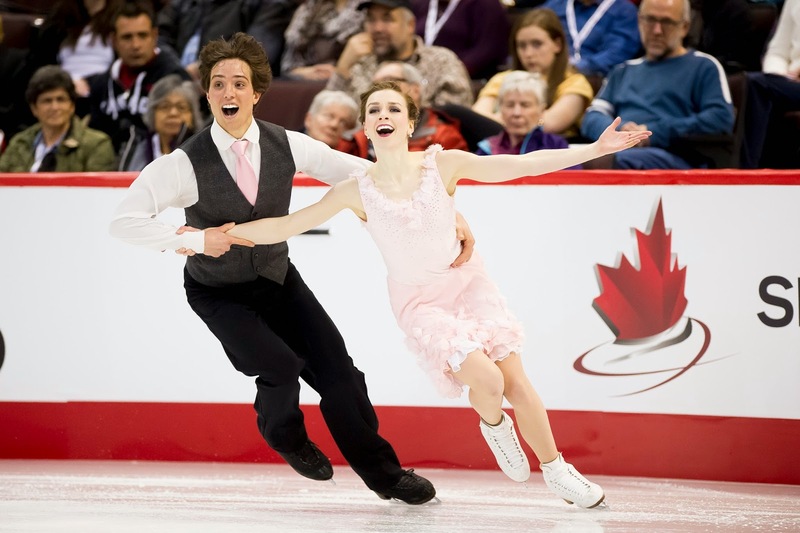 Skating a superb interpretation of their all-Gershwin score, McNeil and McCall became the first Maritime entry to win a Canadian senior title. The two received marks ranging from 5.5 to 5.8 for technical merit and 5.6 to 5.9 for artistic impression." With regard to their winning free dance, McNeil said, "we are really pleased. We've never had marks so high in our lives" and Rob said, "when I went home at four o'clock this afternoon, I had all these visions of things happening in every possible spot in the dance because of what happened in the Cha Cha yesterday. But thank God, when we skated tonight, none of the things came true." It was a bittersweet victory for the team, who had finished second the year before. 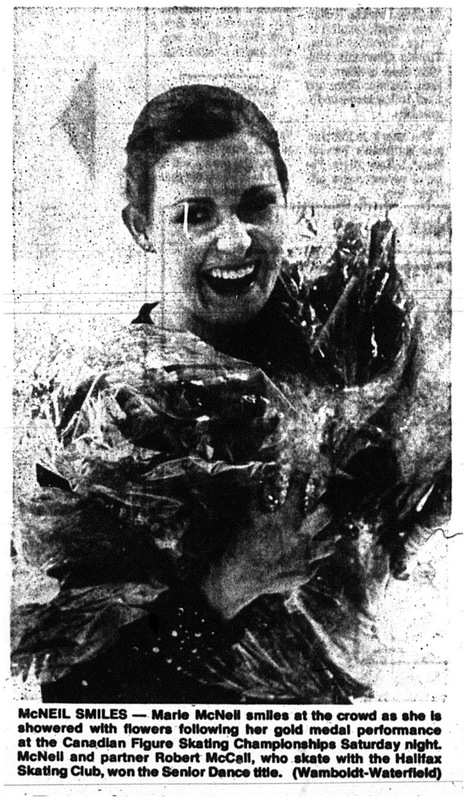 Marie McNeil-Bowness turned to the worlds of both coaching and judging after her skating career ended and spoke of her career with McCall in a 2006 Chronicle Herald article "Bowness part of figure skating judging's overhaul": "Rob and I skated together for eight years. 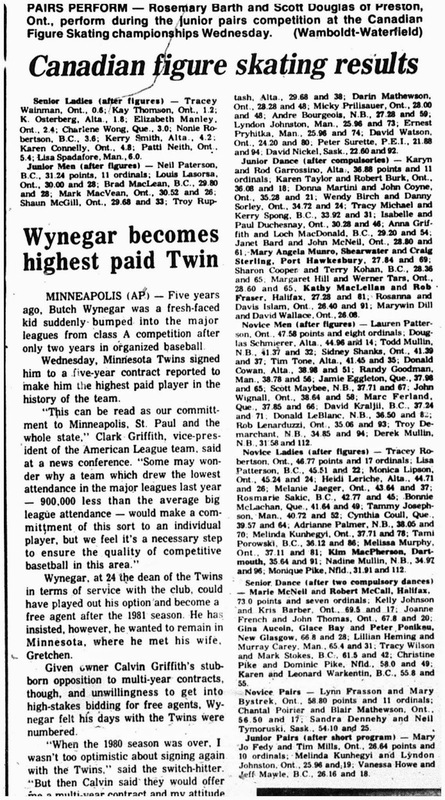 Winning the Canadian title was certainly the highlight of our career, but our biggest disappointment was the year before when we didn't get to go to the Lake Placid Olympics. For some reason, just a couple of weeks before the event, they chose to send only one team. And we were never told why. It really was a huge disappointment." She had the wonderfully positive opportunity of being of the first two technical specialists from Canada when the "new judging system" was introduced. 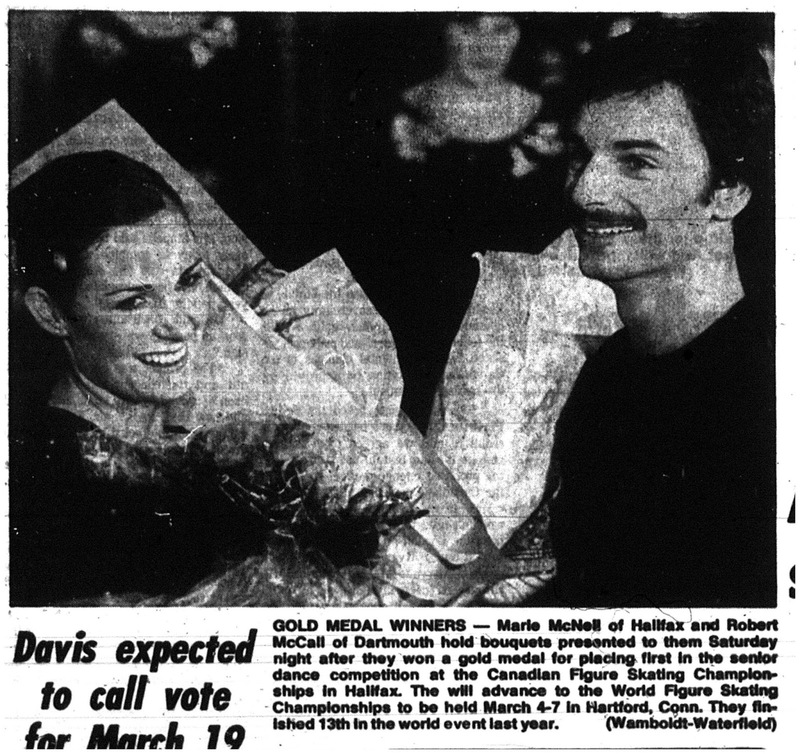 Rob and Marie's 1981 win not only remains historically significant as the first and only senior figure skating win in Canada for a Nova Scotian skater or team, but also in that the duo had a little competition: the sixth place team in that year's competition would be none other than a then unknown brother/sister team from Quebec named Isabelle and Paul Duchesnay. It's a small world, after all. In the pairs event in 1981, Barbara Underhill and Paul Martini would handily win their third of five consecutive national titles ahead of a young Lloyd Eisler and his then partner Lorrie Baier and Becky Gough and Mark Rowsom, but they would not be perfect. They did win the short program however suffered a fall early in their five minute free skate. The fall didn't take the wind out of then seventeen year old Barbara Underhill's sails: "I guess I was excited. I flew off the back of my blade, but from then on, I thought we skated well." Her twenty year old was also pleased with the team's winning free skate: "On the whole, I think the program went quite well. There were a couple of slipups, but overall we're quite pleased. With a little more work, we'll be in good shape for Hartford." Tracey Wainman's winning free skate at 1981 Nationals - with commentary from Johnny Esaw, Debbi Wilkes and Otto Jelinek! The ladies competition in Halifax was won by a plucky thirteen year old four foot ten inch firecracker you just MIGHT have heard of named Tracey Wainman of the Toronto Curling, Skating and Cricket Club. Wainman, who had finished third at the 1980 Canadian Nationals, was (as you may remember) named to the 1980 World team instead of 1980 Champion Heather Kemkaran and silver medallist Janet Morrissey. This decision from the CFSA created a stir among some and according to Rimas Miecus' MacLean's article "Not wasted on the young", was "largely responsible for Kemkaran's decision to retire". So as you can imagine, there were expectations on the young skater. In order to claim her first of two national titles, Wainman defeated the skater who would win the next three Canadian ladies titles (Kay Thomson), the skater would win the national title in 1985, 1987 and 1988 - and of course, the silver medal and free skate at the 1988 Calgary Olympics (Liz Manley) and future five time Canadian medallist Charlene Wong. Wainman's win in 1981 really ushered in a new era of Canadian ladies skating, of which Wainman, Thomson and Manley would all play starring roles. In the three compulsory figures skated, Wainman earned the highest scores of the ten senior ladies competing, with Thomson second and Calgary's Kathryn Osterberg third. In the end, Wainman would skate to victory, ahead of Thomson (who had a rough fall on a triple LUTZ attempt - keep in mind this was 1981! ), Manley, Wong, Osterberg, Kerry Smith and others. Wainman's program, as you can see, was performed with breakneck speed. Her spins were really very good and even if she looked a little rough around the edges in some ways, she did perform two triple salchows, two double axels, two double lutzes, a double flip, double toe-loop, double loop/double loop combination and two single axels to take the title, her only real mistake a fall late in her program coming out of her sequence of two double lutzes where it looks like she either clipped the boards or caught an edge. Wainman said of the fall, "I don't know how I fell. I guess I got a little excited near the end". With a performance like that, who cares really?! 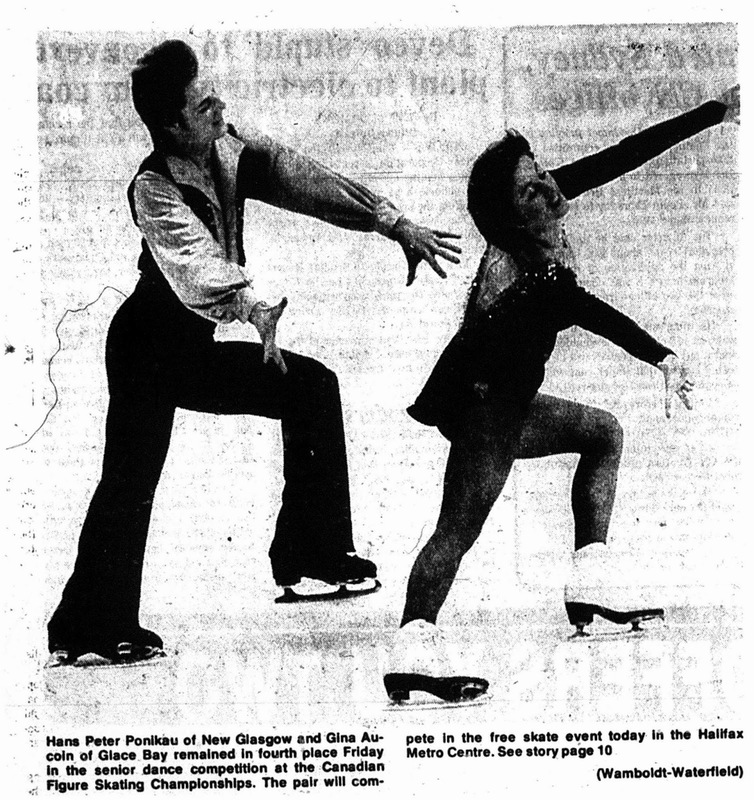 Donald Jackson spoke of Wainman at the time: "She already has the quality, dynamic personality, that makes her skating look easy". After winning the 1981 Canadian title, Brian Orser went on to skate a brilliant free skate at Worlds that year, landing a beauty of a triple axel! 1981 Nationals would also prove very significant for nineteen year old Brian Orser. 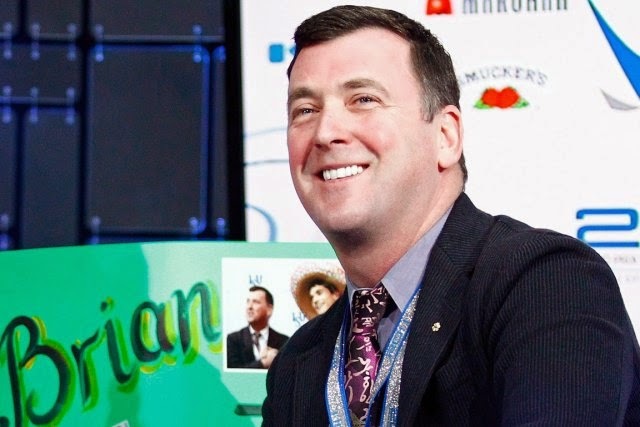 After winning the novice title at Nationals in 1977 and the junior title in 1979, Orser would win his first of a whopping eight consecutive Canadian titles right here on Nova Scotia soil. In doing so, he unseated the reigning Canadian men's champion Brian Pockar (an outstanding in his own right), six time Canadian medallist Gordon Forbes of the Minto Skating Club as well as Gary Beacom, who was third after the short program but made several errors in his free skate (finishing fifth in that segment) unfortunately keeping him off the podium that year. Defending champion Pockar had revised his free skate after finishing second that fall at Skate Canada. "The idea is to emphasize the elegant side of skating," he explained. To win the title, Orser would vault up from a second place result after the short program to upset Pockar (who made a couple of costly errors) and perform a free skate with six triple jumps and the only triple axel performed at the 1981 Canadian Championships. Orser talked of his winning performance (which earned him a standing ovation and five scores of 5.9 for technical merit) in the Monday, February 2 edition of the Mail-Star: "The audience helped me quite a bit tonight. They were really cheering me on, and that helps me a lot. I felt like I could have gone on for another minute or two." Pockar handled the loss of his title with grace: "Brian was fantastic. No one has ever done a triple axel and a triple lutz and combinations with triples coming out all over the place. It was great. In this competition, the new system went against me. I don't want to sound like I'm bitter against Brian, because I'm not. He was fantastic. But I am upset because I lost my title. I think I was ahead of Brian more in figures and he was ahead of me in the long program. But the new system doesn't give credit when a skater is better in one department - except in free skating." Not only was it so cool to have chance to research and learn all about a significant and historic skating competition that happened literally right in my own backyard the year before I was born, I'm fortunate enough to say I came across several more skating history gems while I was at the Halifax Public Library that day. What's next? As Brittany Murphy's character said in the movie "Don't Say A Word"... "I'll never tell!" I can only promise one thing... you'll find out soon enough!